Buy the Gift of Pickles! Buying for a friend out of town? Check our locations tab to ensure a shop is in their area. 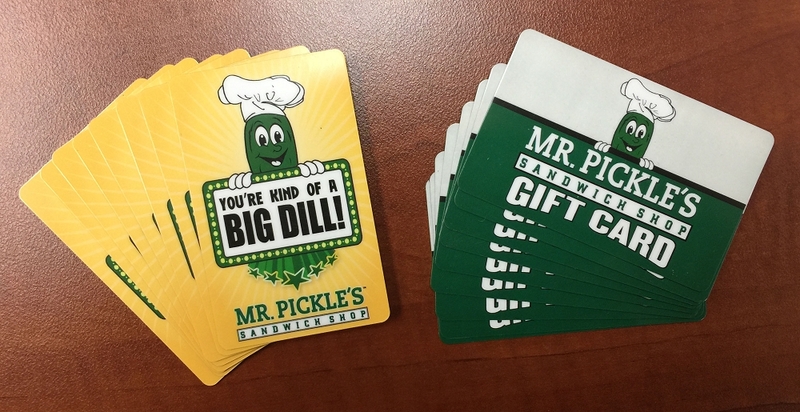 Mr. Pickle's Sandwich Shop Gift Cards are not redeemable at licensed locations. Please check out locations page for a list of all franchise locations.